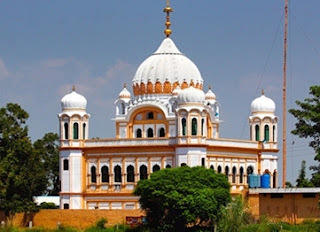 Dear readers, slowly, now the global community has started realizing the great potential of Kartarpur Sahib Corridor. The corridor has now figured in the Journal of Religion, Conflict, and Peace. Published twice yearly, the journal is an open access, online publication. Significantly, as a core thesis of the book, Singh demonstrates rather eloquently that where border provinces and regions have some common cultural characteristics and a common heritageâ€”as do the two Punjabsâ€”the keenness for improving conflictual relations between the regions is higher. In this respect, this book represents for its reader a much-needed refreshing proposal for conflict resolution in the India-Pakistan conflict, the conclusions for which can be extrapolated and applied to other conflict prone border regions in other parts of the world. In achieving its objective, Singhâ€™s book begins by providing the reader with an analysis of SAARC that offers an important political and regional context for the later examination of his local-national case studies of cultural cooperation in Amritsar and Lahore. Of the four SAARC objectives, just oneâ€”to provide all individuals the opportunity to live in dignity and to realize their potentialâ€”is directly related to Singhâ€™s own argument about the way to achieve peace and cooperation in the region. Significantly, however, Singh feels that even with this objective, SAARC has failed to fulfill its potential, as serious consideration to the free movement of people within the regionsâ€™ boundaries is rarely considered and a state of violence and insecurity between the border regions continues, especially between Jammu and Kashmir regions, which have exclusively dominated SAARCâ€™s conflict resolution strategies. Singh blames the security politics and foreign policies of India and Pakistan for having created the limitations and shortcomings in achieving South Asian cooperation and peace goals in the region. In reinforcing his core theme, Singhâ€™s presentation of collaborative events in West and East Punjab are offered as examples of alternative, understudied, cultural routes to South Asian cooperation compared to SAARC. Giving background to his case studies, Singh provides a rich repertoire of historical and geographical context of India and Pakistan for the scholar of comparative studies. He uses maps to direct his reader to the ways in which colonialism reproduced place and fostered displacement caused by the 1947 Indian partition. In doing so he demonstrates how Punjab, or the â€œfive rivers of Sutlej, Beas, Ravi, Jhelum and Chenab,â€ became two separate countries, peoples and identities. Pakistan Punjab, with 25 percent of the original Punjab territory, currently makes up 56 percent of that countryâ€™s population, while Indiaâ€™s state of Punjab, representing only 1.6 percent of Indiaâ€™s territory, holds a meager 2.3 percent of Indiaâ€™s population. In Pakistan, the Punjab identity is a majority while in India the Punjab constitutes a very small minority.